We know that it can be a little harder to tap into that personal beauty once we start to age. When our appearance no longer reflects how we feel inside, it can be hard to feel proud and confident about your appearance. Your vibrant inner self can be obscured by jowls, sagging cheeks, and sagging skin around the neck. When you want to regain that inner joy and pride about your appearance, a powerful rejuvenating procedure like the facelift can help. 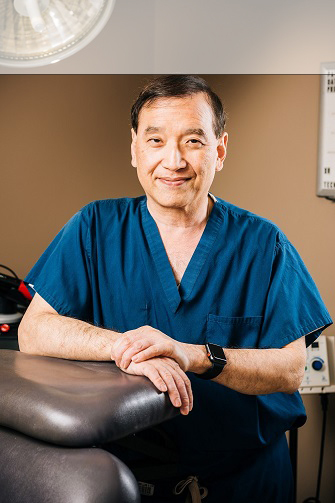 Dr. Machida, the founder of Second to Creation, is a facial plastic surgeon that’s renowned for his facelift. His outstanding facelift targets signs of aging from the lower face down to neck to give patients a smoother, younger looking appearance. 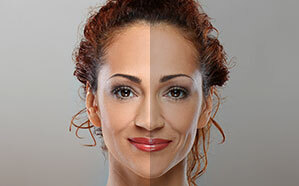 With a facelift, patients can lift sagging skin, contour the face, and soften the appearance of deep creases and lines. We all know the keys to healthy, beautiful skin: lots of sleep, sunscreen, and a healthy diet. But what if the hands of time are too powerful? Aging and environmental stressors can all add up over the years, turning your once flawless complexion into duller, rougher, and older looking skin. Sometimes, you need the very best in science to achieve that youthful, glowing skin. Second to Creation is proud to provide the J Plasma, a state-of-the-art device that’s the next progression in non-surgical skin resurfacing. Using plasma technology, the J Plasma can remove the damaged, older layers of skin with remarkable precision to reveal the young, healthy skin underneath. The Mini-Lift can tighten loose skin around the lower face and jawline when a full facelift is not required. It will smooth nasolabial folds, marionette lines and wrinkles. The Mini-Lift can get rid of minor jowls. When the lower face is the area of concern, it can give both men and women the younger look they desire. As remarkable facial plastic surgery procedures can be, it doesn’t address all the problems that aging can bring. If you’ve yearned for the return of a healthier, firmer appearance, you’re not alone. When aging has left us looking gaunt and tired, we search for treatments like facial fat grafting to restore a youthful, vibrant look. Dr. Machida is proud to offer SVF (Stromal Vascular Fraction) facial fat grafting, a cutting-edge treatment that uses a combination of your fat stem cells and the purest samples of your own fatty tissue. Essentially, a fat transfer will remove fat from unwanted areas and insert them back into face to treat sunken cheeks and facial hollows without surgery. SVF fat grafting takes it one step further by allowing you to also treat deep lines and creases—just like a dermal filler can. When the SVF fat grafting is combined with a facelift, true rejuvenation is possible. We don’t often talk about how our chins affect the way we look, but for many of us, a weak or receding chin is a constant source of concern. We shouldn’t forget about how important a chin is in establishing facial balance and proportion; along with our nose, forehead, and cheeks among others, the size and shape of our chin determines how striking our profile will be. At the Inland Empire’s Second to Creation, we understand that small changes can have a big impact, that even something as seemingly minor as a chin can have a drastic effect on your overall look. That’s why we’re proud to offer chin augmentation, a simple procedure that uses a state-of-the-art implant to balance the chin. With a chin augmentation, we can help you bring your look into a harmonious whole. Lifestyle Lift® helped to revolutionize the way facial plastic surgery is performed in the United States. Traditional plastic surgeons do procedures on the entire body. On average, most complete fewer than 20 face and neck lifts per year. They need the extra time afforded by using general or I.V. anesthesia. That benefits less experienced surgeons but can expose patients to risks. Focusing solely on the face and neck, Lifestyle Lift surgeons performed hundreds of procedures per year. This outstanding level of experience allowed these experts to perfect the art and science of facial rejuvenation, getting attractive, natural results using safer local anesthesia and oral sedation.